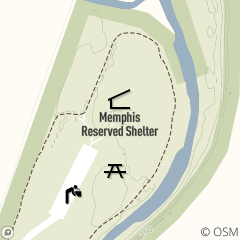 Memphis Shelter is located at the end of the park drive in Big Creek Reservation, located at the intersection of Memphis Avenue and Tiedman Road. Reservable May through October, daily. For reservations or more information, call 216.635.3304 , Monday through Friday, 8:30 a.m. to 4:30 p.m.